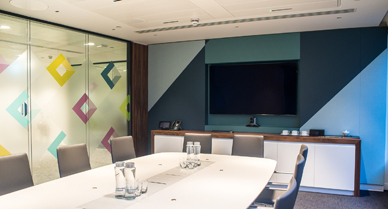 “We were very happy with the service Adnitt Acoustics' provided - I have always found you to be responsive and flexible in developing cost effective solutions to a project's acoustic requirements. 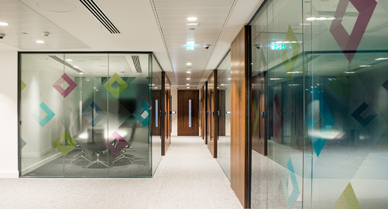 Good acoustic standards were needed for back-of-house functional offices. During the construction of the office fit-out through regular site inspection visits. Conduct comprehensive pre-completion acoustic testing. 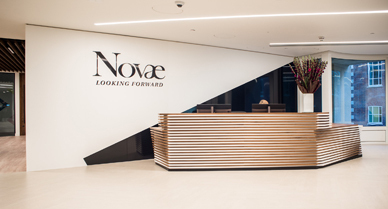 Because the client meeting rooms opened onto the main reception area, acoustic treatment was needed in the reception area to reduce the risk of disturbance to the meeting rooms. 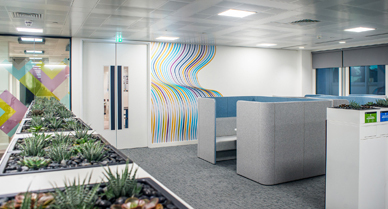 Our solution featured fabric wrapped acoustic wall panels which were co-ordinated into the overall design and didn't compromise the designer's aesthetic vision. 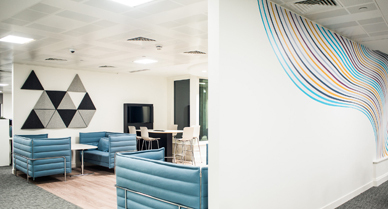 As well as the client meeting rooms, a specific client lounge area provided a more informal setting for meetings and discussions. 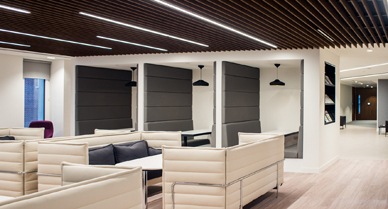 A timber slatted acoustic ceiling was incorporated into the design of this area to create a more relaxed ambience. 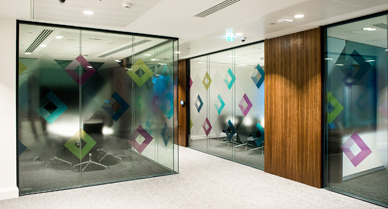 As with most commercial offices in the professional services sector, privacy and confidentiality were top priorities in client meeting rooms. A high level of sound insulation had to be included in the design, and site inspection visits during the construction phase conducted to check acoustically critical details. The hard finishes of the staff break-out and catering facilities had the potential to be loud and disruptive. 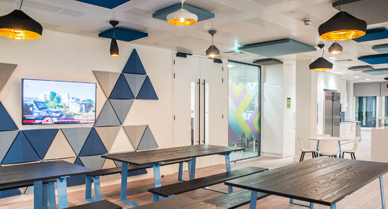 To dampen down any disturbance, acoustic panels in this area were incorporated into the fit out design.